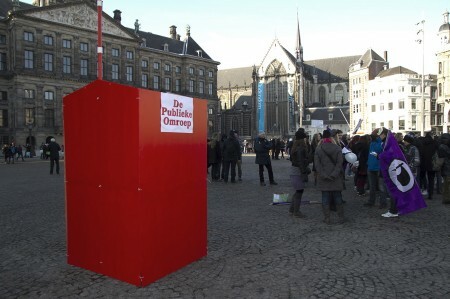 During a protest against ACTA on the Dam Square in Amsterdam, many people hacked into the radio despite risking a fine. I noticed people stating they really feel they are not in control of their lives, many felt lots of discontent on the direction of governments policy involving the human rights to freedom of speech. That’s why people used De Publieke Omroep / Public Broadcasting to tell exactly this to people on the radio and related it to why ACTA would be foolish according them. Public broadcasting made public again. 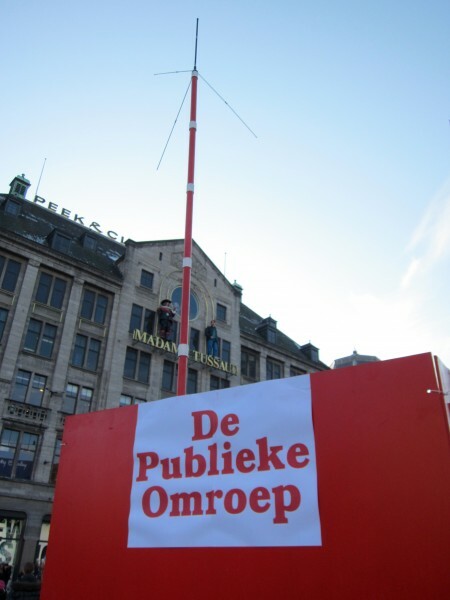 Public Broadcasting is the title of my art installation which questions how much freedom we, as civilians, are allowed to have in spreading our messages and information. 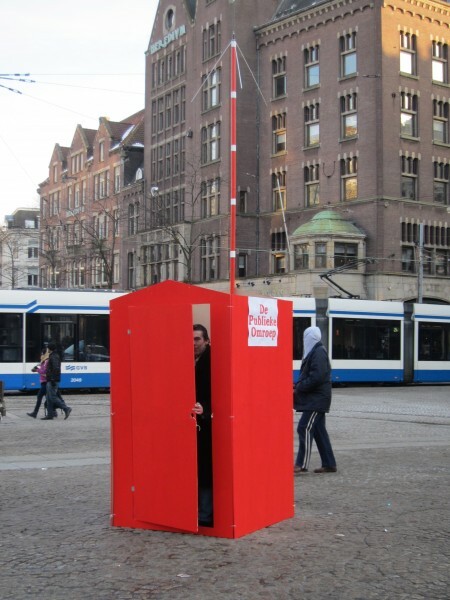 To what extent do we still have ‘public’ space, virtual, physical or radio waves, available to express ourselves the way we really want to? 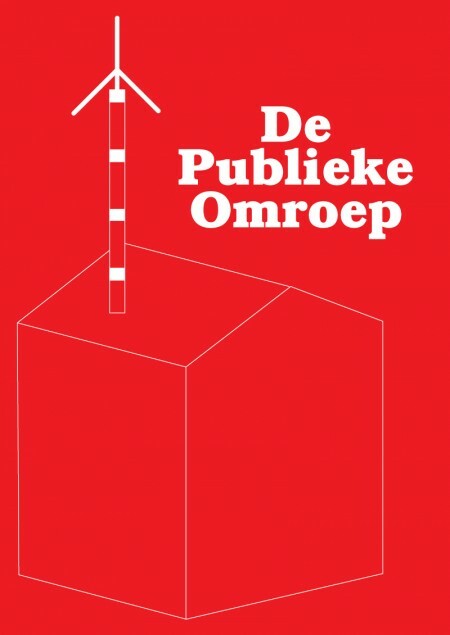 What is public domain? Nowadays, these questions are often asked in the debate about freedom. Currently a discussion is going on about ACTA (Anti-Counterfeiting Trade Agreement). In The Netherlands some ISP’s have been told to censor the website The Pirate Bay which is a platform for people to share their files. A complete medium has come under attack. To provoke a discussion about this I have chosen to make an art installation to be used in the public domain. 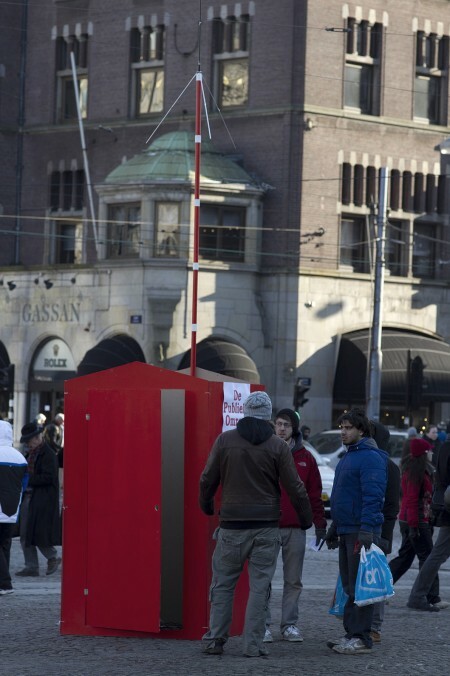 ‘Public Broadcasting’ is an installation which allows people to send their message into the air with a FM-transmitter. One problem arises: this is strictly forbidden. Radio frequencies have been sold years ago to large corporate institutions. Nowadays it is prohibited to use radio communication without a permit. The exclusive rights have been sold to corporations. So, what about the Internet? Will ACTA be a precursor for what happened to the radio? What does it mean for freedom of opinion when governments think corporations are more important than the voices of the civilians they’re suppose to serve? 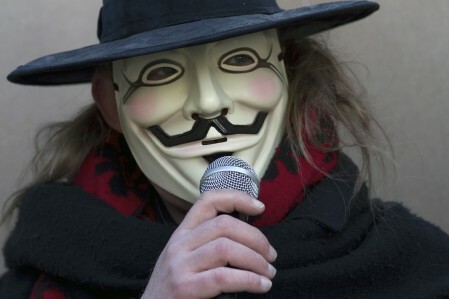 Isn’t it upsetting that the negotiations about the content and implications of ACTA all have been done in secret? What will the consequences be for your freedom when governments sell your rights on freedom of the exchange of information to corporations? How will your perception of the world change when only a few companies decide what you will see or hear? Are you prepared to break the law to be able to share your information? 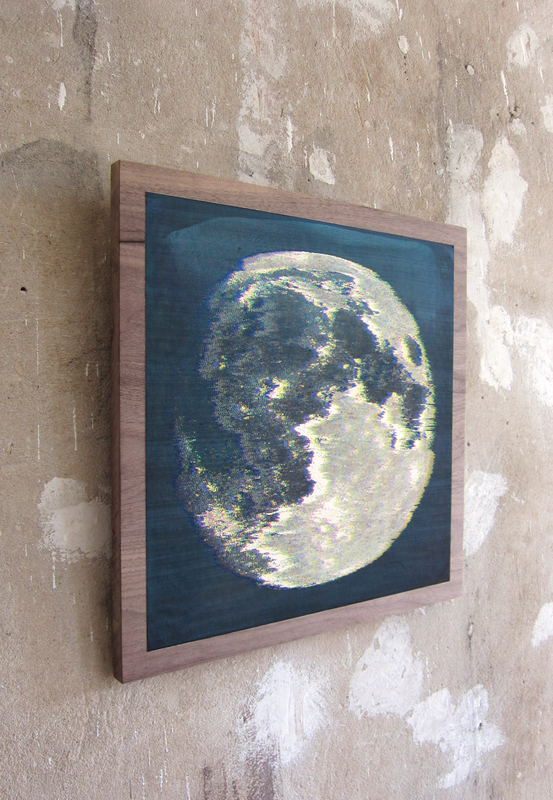 Currently I am working on a prototype for a new artwork. I am trying to make an architectural material consisting of audio. More info will be posted here soon. It has been over a year now since I last posted something here. This does not mean nothing happened in the meantime. Last year I had a great year with four exhibitions. 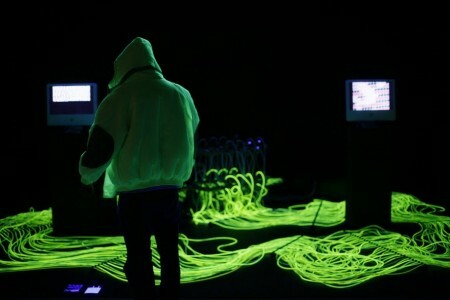 I travelled with my installation artwork Bitquid around and exhibited in Zurich in Switserland (Tweakfest), Belo Horizonte in Brazil (FAD2010) and Breda (Graphic Design Festival) and Utrecht (No Label) in The Netherlands. 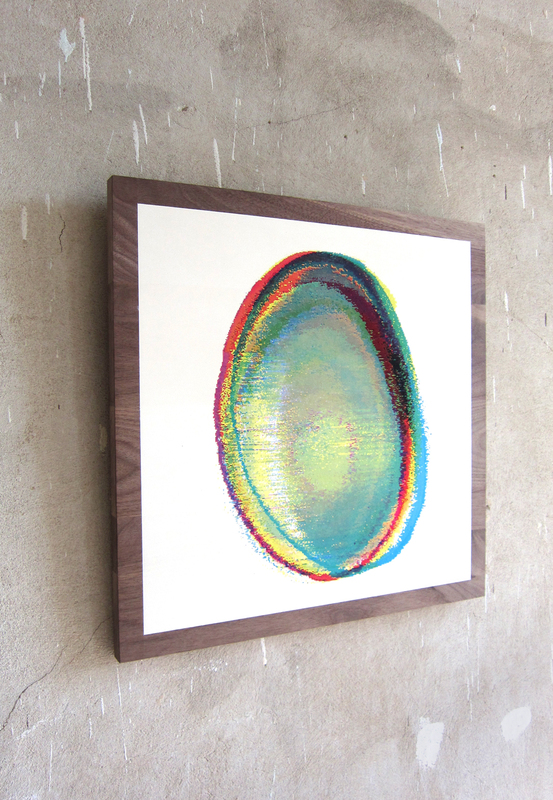 These exclusive silkscreen prints are a very limited edition full-color (CMYK) silkscreen prints on high-quality wooden panels (50 x 50 cm). If you are interested in purchasing one of these prints, feel free to contact me. 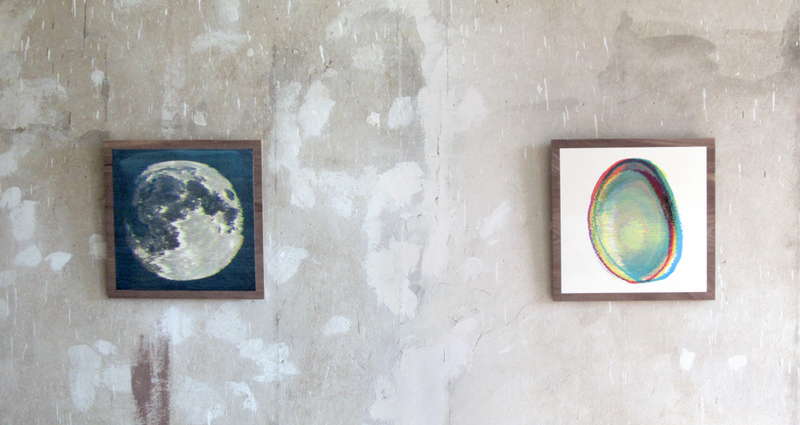 Both prints will be shown along with a video of the working installation at the EmergeAndSee exhibition in Berlin from the 3rd till the 5th of June. 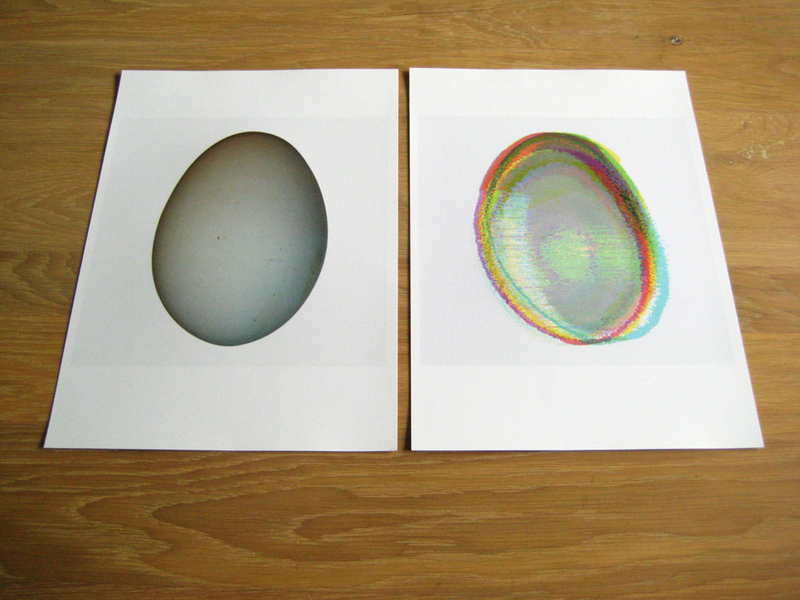 These prints were made at Grafisch Atelier Daglicht. I want to thank them for generously helping me with their expertise. These prints are also made with the support of The Netherlands Foundation for Visual Arts, Design and Architecture, known in the Netherlands as Fonds BKVB. After a 2-day exhibition at Tweakfest in Zurich I am now exhibiting Bitquid for the next 3 weeks at the Graphic Design Festival in Breda, The Netherlands. 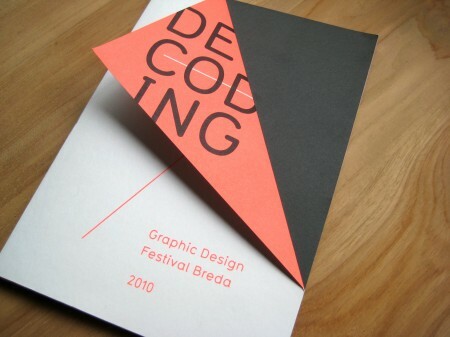 Bitquid will be shown at the festival’s Decoding exhibition among several other interesting projects. 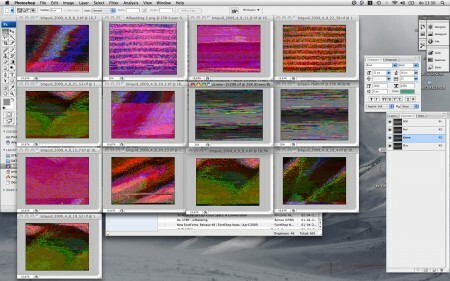 This time, Bitquid will render a series of images of which I will make exclusive full colour silkscreen prints. 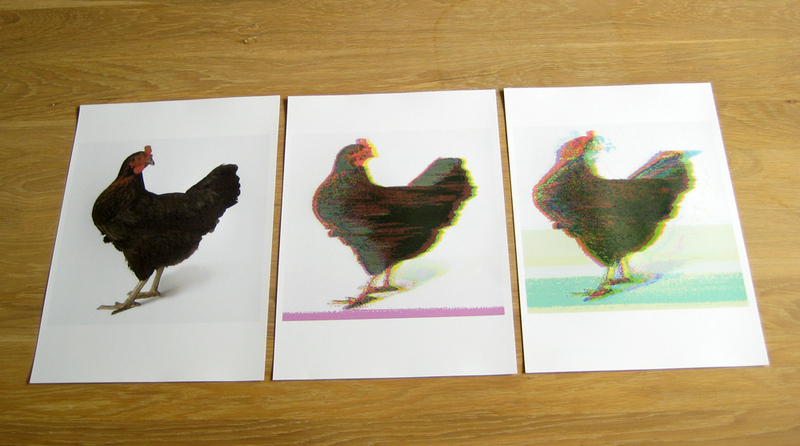 If you are interested in these prints, please contact me at: info [*at*] jeroenholthuis [*dot*] nl. Finally some proper HD video documentation of Bitquid. 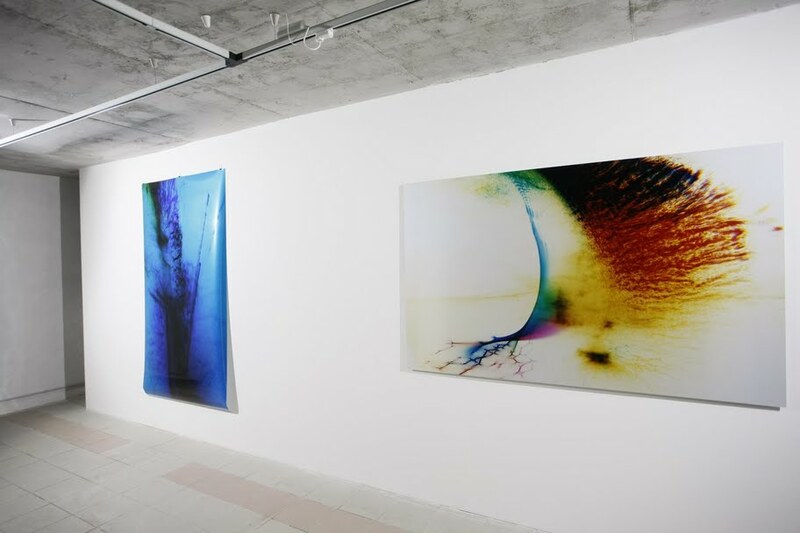 This video has been shot while exhibiting in Riga. 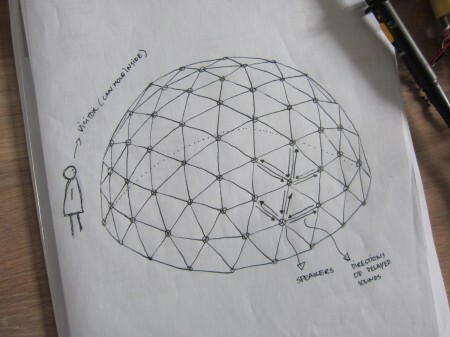 All credits go out to Laura Frinberga and her colleague Ritvars Lasmanis from Ideju Forums. Thank you for filming, montaging and generously sharing this material! I hope you like the edits I made afterwards. The High Definition version can be viewed on Vimeo. 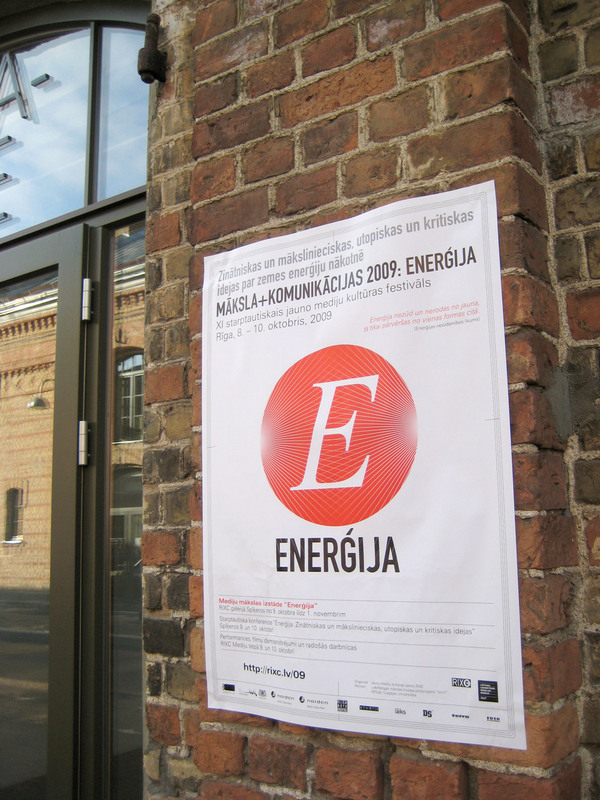 Check out the pictures made of the exhibition and opening night at the Art+Communication 2009: Energy exhibition in Riga, Latvia. It had been a great and pleasant experience for me to be part of it. 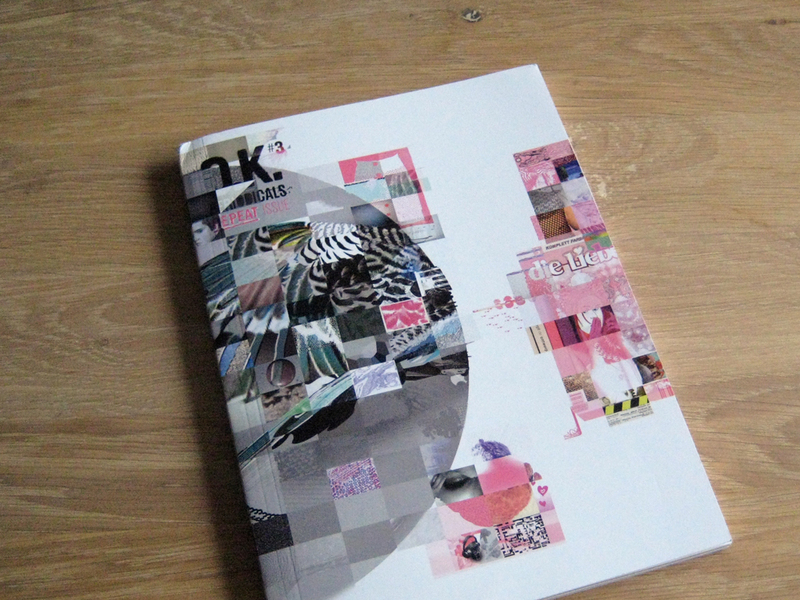 I am very pleased OK Periodicals Repeat issue just arrived. It looks beautiful! The special renders as well some pictures of Bitquid got featured in it. You should get yourself a copy. A few months before going to Riga I was working hard to get my contribution finished for a new issue of OK Periodicals magazine. This time they made an issue based on the theme ‘Repeat’. For this magazine I made some special images. 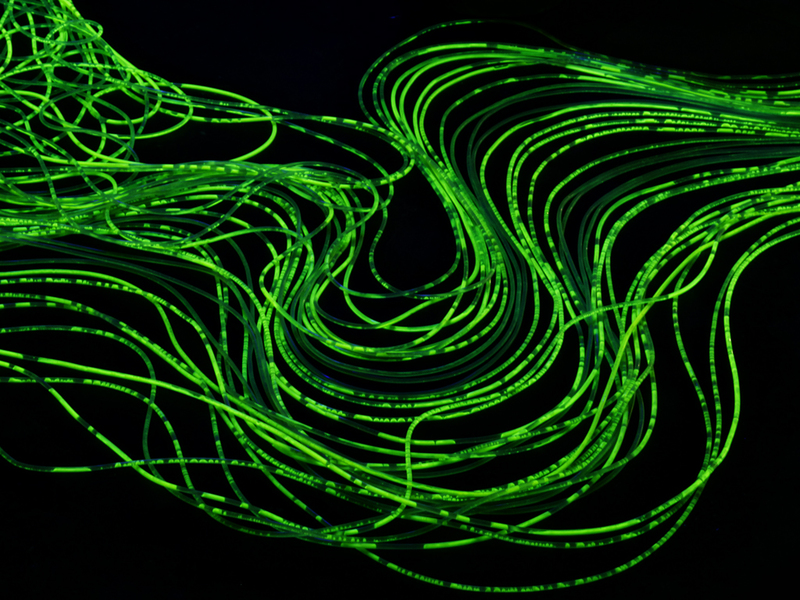 After tweaking Bitquid for a long time I got some beautiful images rendered. 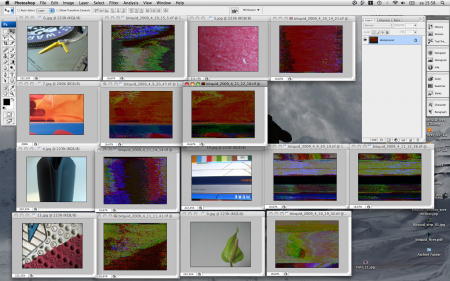 It took Bitquid about 13 hours to complete these images of 400 x 400 pixels. The results are better than I could imagine in the beginning. I really like this egg I have been rendering. Interesting is that this chicken was rendered twice resulting each time in an unique image. The uncertain process (the use of liquids) by which the images get ‘copied’ is really something that appeals me in this work. 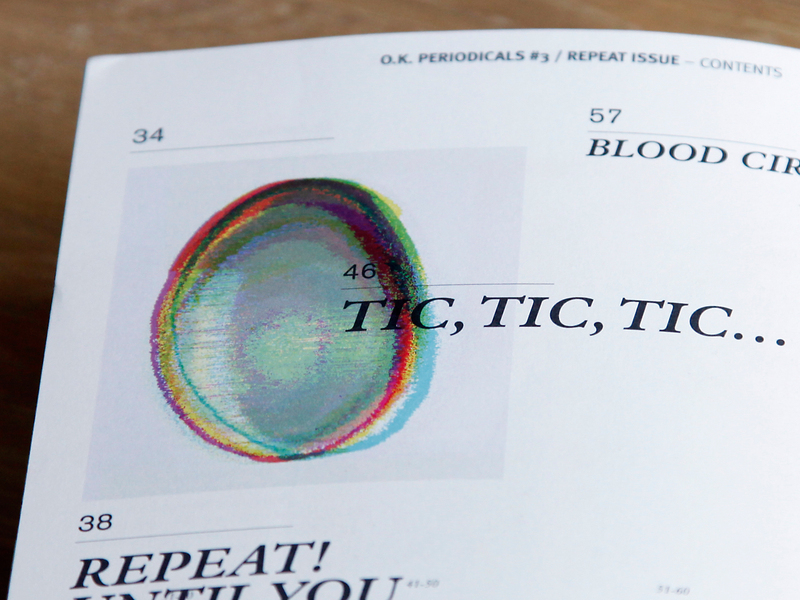 I was asked to contribute to the next issue of OK Periodicals magazine. These are a few test I made so I could tweak the settings of my system to make it process images better. 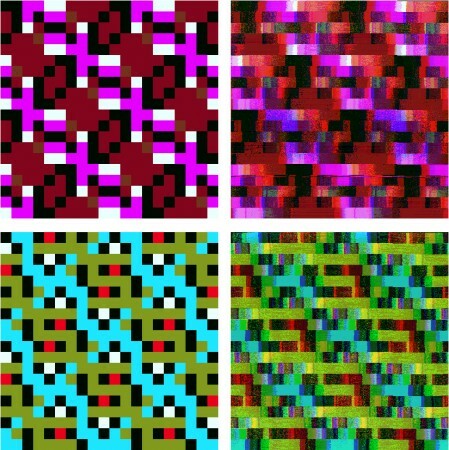 These patterns are generated by a little program I wrote in Processing. 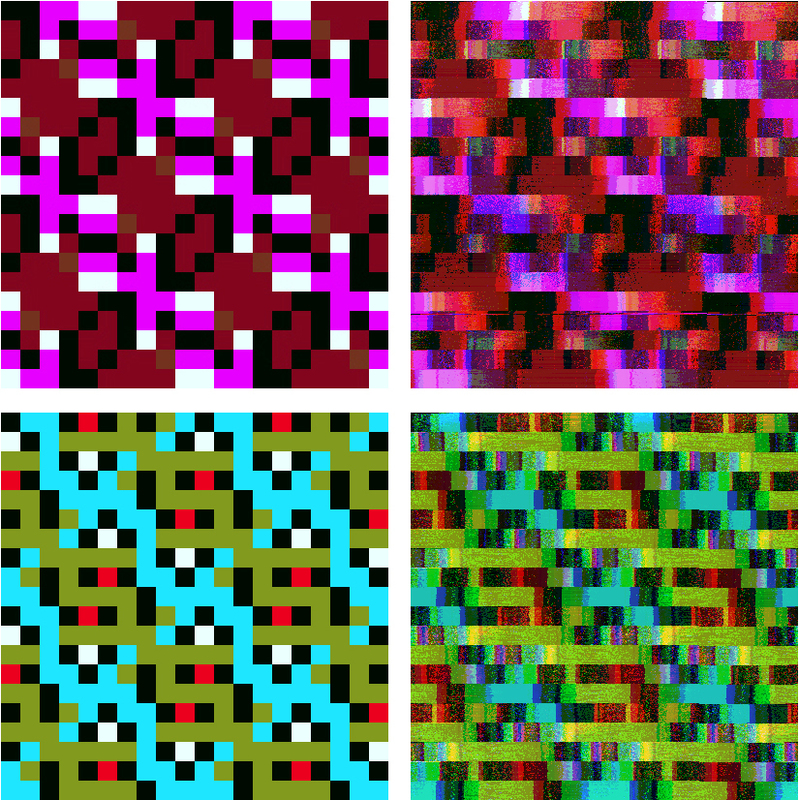 As you can see, Bitquid starts to make images with more and more resemblance to the original ones. The great thing about these repetitive patterns is that they turn into less repetitive images due to the influences of the analogue world (the liquids) which the data is transferred through. Click on the image to see the results more clear. 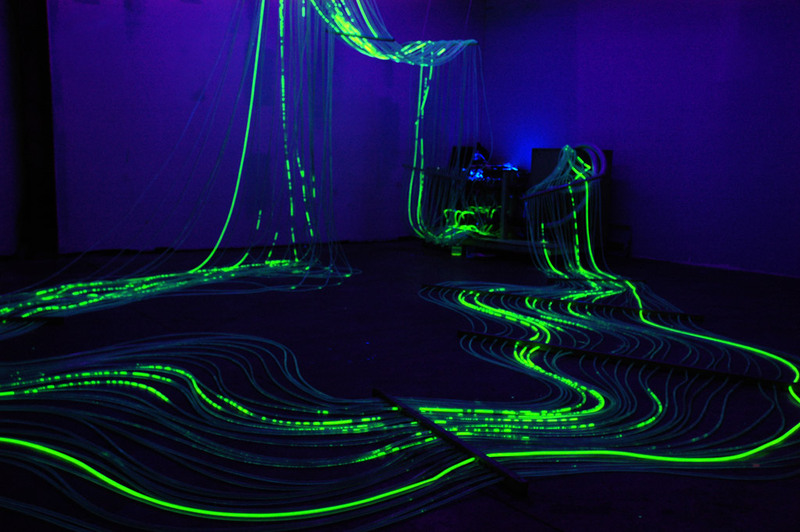 Currently I am exhibiting Bitquid on the 11th International Festival for New Media Culture ‘Art+Communication 2009: Energy‘ in Riga, Latvia. 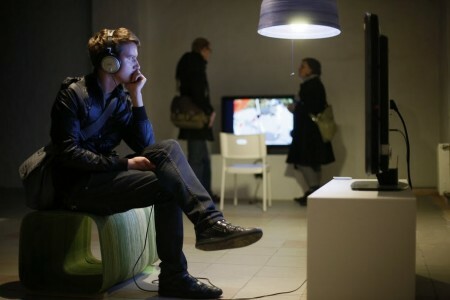 The whole event is organized by the RIXC Centre for New Media Culture and will be open from 8 October till 1 November 2009. The exhibition looks very nice and started with an inspiring 2-day symposium on the theme energy. Here, people working in the crossover of philosophy, science and art shared their ideas and concepts. For me this is the first time I had to prepare Bitquid for such a transport abroad. A lot of work got into packaging the whole system safely into wooden boxes I made. On arrival the system was in perfect shape. Unfortunately, during the process of the setup, an important part of the system was broken. Eventually with the great help of the guys from RIXC I was able to continue with this exhibition after the part was fixed. My thanks go out for that! My thanks go out to my sister Jolien Holthuis for making these photographs. Here I have made a screenshot while I was comparing original images to the images that have been build by the system after the data was transported in the liquid. With this current setup, it takes about 40 minutes to transport an image of 100 x 75 pixels. It’s not really efficient, but that isn’t what I am going for. The nice thing is that the binary information has been traveling through our tangible environment. The results are not perfect, and they shouldn’t be. I even think they are beautiful. There will be some more tweaking on the system to find out the best settings. It was hard work, but finally it is there. 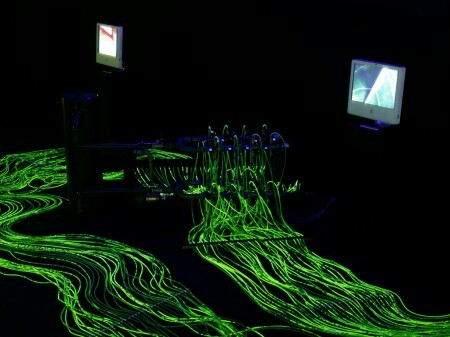 From the 2nd of Arpil till the 13th Bitquid is exhibited at the STRP Festival in Eindhoven, The Netherlands. So far the system works really great and I already have got lots of positive feedback. “Jeroen Holthuis tries to explore the relationships between two parallel worlds, our digital and analogue environment. Bitquid explores the relationship between these environments by transforming bits to atoms. 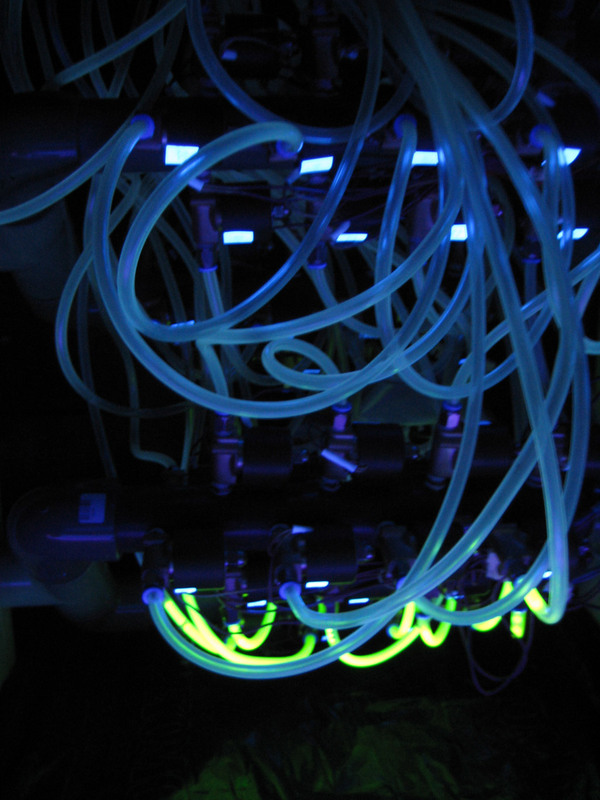 It is a system with parallel hoses through which, in turn, coloured and colourless fluids are pumped, in order to represend the liquid ones and zeros. The computer features software that drives specially developed hardware. Literally, rows of bits are send to the system, which are then translated into their liquid equivalents. 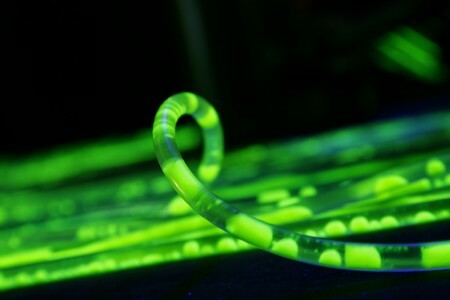 At the moment I am working hard to get my Bitquid ready for my exhibition at the STRP Festival. Bitquid will be exhibited there from April 2nd till April 13th. More info follows. 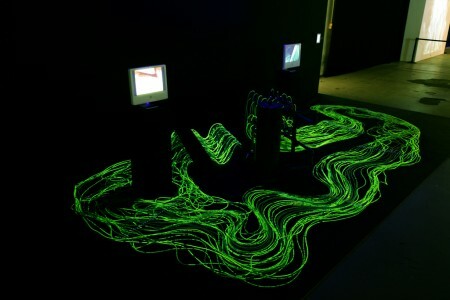 In the summer of 2008 I graduated for Communication & Multimedia Design with an experimental installation named Bitquid. This project is a physical research after my theoretical research for my thesis ‘Bits & Atoms: Designing the void in between’. 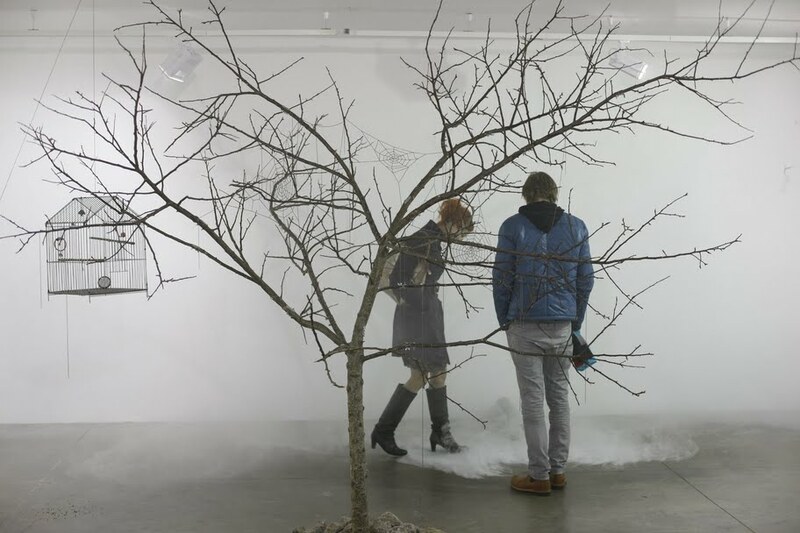 In my thesis I tried to explore the relationships between what I like to call our ‘parallel worlds’, or our digital and analogue environment. Bitquid explores the relation between these environments by trying to transform digital information to a new analogue equivalent. The system transforms bits in atoms. It therefore plays with the imaginary boundary where digital information stops and the analogue world begins. As an analogue equivalent to digital information I looked for a physical medium that, for me, associated with the word ‘analogue’ the most. For me this was a fluid. In contradiction to digital information, which consists out of ones and zeros (which in fact are analogies for electrical or magnetic loads), and thus only exists in two states, a fluid behaves in such a complex way that it’s states could never be fully comprehended. Jeroen Holthuis’ Bits & Atoms: Designing the void in between is proudly powered by WordPress - Entries (RSS) and Comments (RSS).